This is the third in a series of essays on things to feed your golf addiction in the off-season. Even if the course is closed, there’s a good chance that the clubhouse still is open for drinks and meals. What better place to relive your past season than your favorite nineteenth hole? It’ll be even better if you can get your regular foursome together once or twice a month. Order a dog and a beer—or whatever you usually get after a round. Then get a scorecard and try to mentally recreate your best round of the past season. Talk about the best day—and the worst. Challenge your buddies to a game of Golden Tee. Or just stare out at the snowy landscape. My favorite clubhouse sits on a hill overlooking the first tee, the driving range, a creek and the eighteenth green. It’s as beautiful on a snow-covered day as it is in full green summer. The barkeep is friendly, and the chili extraordinary. There’s wifi for writing GolfBlogger posts, and a seat near the window in the early afternoon offers great light for reading. There’s an economic aspect to this, too. Many courses depend on restaurant sales to ultimately balance the bottom line. 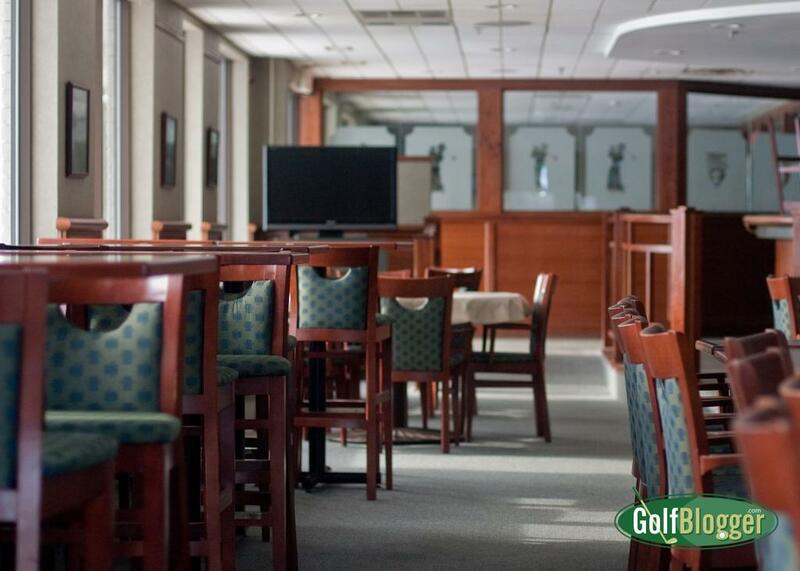 In GolfBlogger Country in Michigan, course clubhouses cater to parties, weddings, meetings and so on. One local club is widely recognized for their Sunday Morning brunch buffet. Eating at the clubhouse may help ensure that the course opens next spring.